Even though we're back in Davis, the South is still with me. In the week I was there I probably ate three or four dozen hush puppies - golden fried nuggets of delectable cornmeal. Not very authentic, but I added a little spice (cayenne), a bit more flavor (minced onion) and some extra moisture (creamed corn). 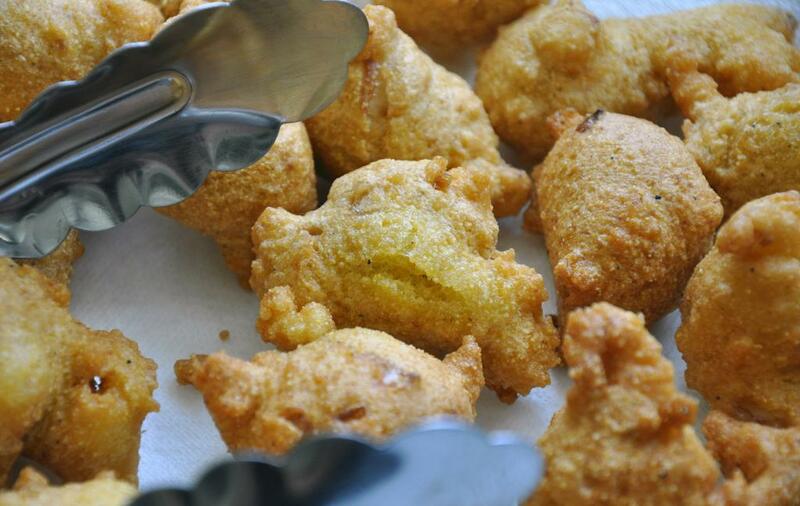 Enjoy hush puppies plain, with ketchup and hot sauce, tartar sauce or slathered in butter. In a medium pot, heat canola oil over medium heat until 350 degrees. 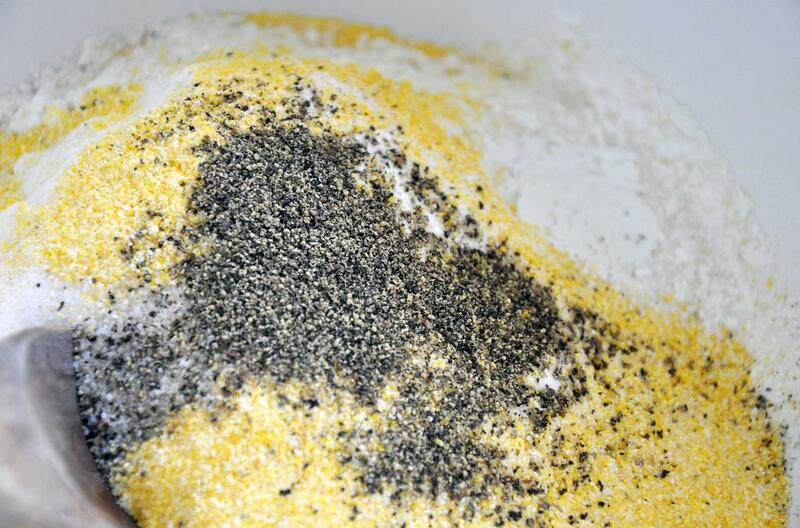 Meanwhile in a large bowl, mix the dry ingredients - cornmeal, flour, salt, onion powder, black pepper, cayenne, baking powder and baking soda. 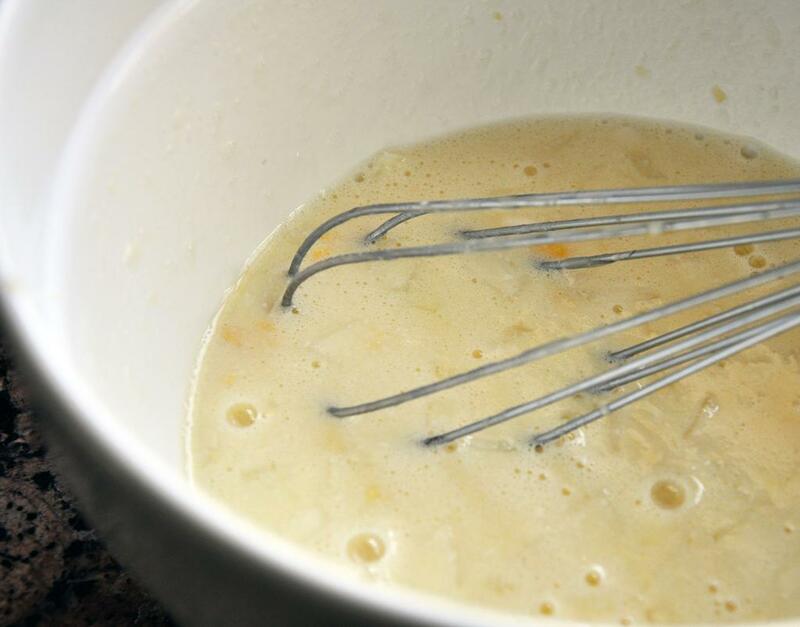 In a small bowl, mix the wet ingredients - buttermilk, eggs, onion and creamed corn. Add the wet ingredients to the dry, mix well. 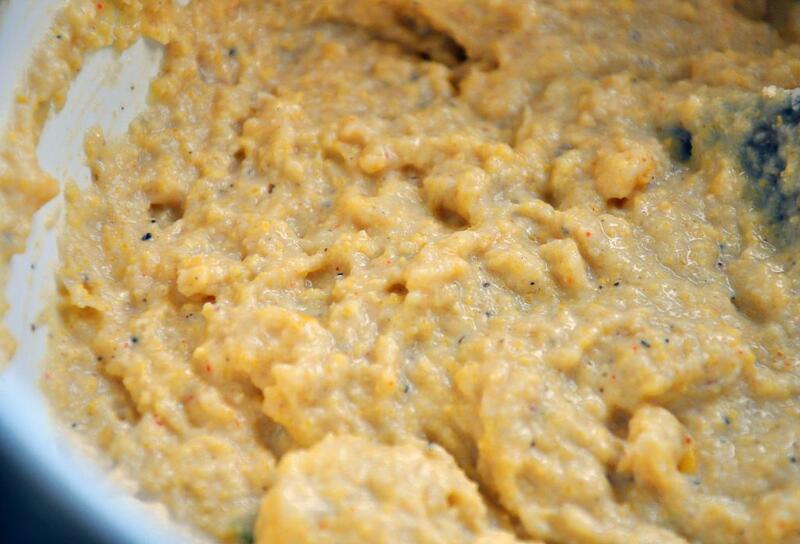 Refrigerate the batter for 15 minutes so the cornmeal can absorb the moisture. When oil is hot, drop 1/2 Tbsp-fuls into the the oil close to the surface taking care not to splash the oil. 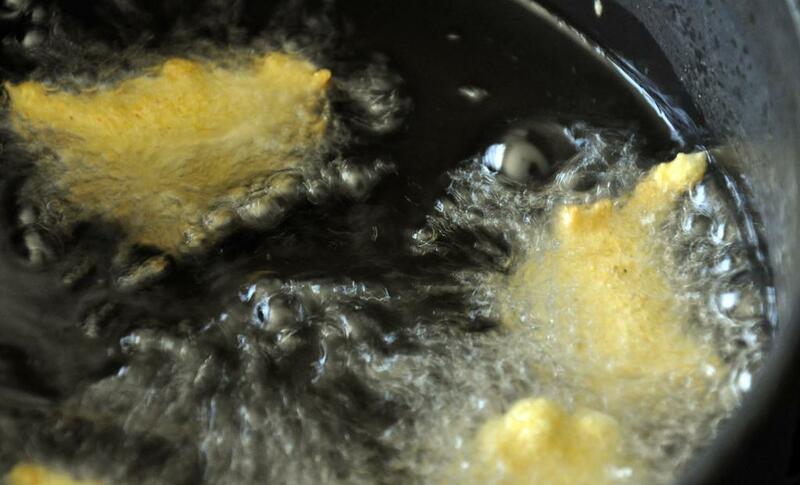 Fry for about 3 minutes, moving and turning the puppies while frying. Pull out with tongs and drain on a paper towel-lined plate. Serve immediately.